S2AS is a rider-owned and rider-run sports shop, and one of the perks of working here is the chance to test new kitesurfing boards as they come in. We’ve had Xenon LaLuz kitesurfing boards in the shop for several years, so when the new LaLuz 2013 came in, we had to test it out straight away. We have to say that we were very impressed with the latest offering from Xenon – the S2AS team score for the Xenon LaLuz Kiteboard� is 5*. The Xenon LaLuz series of board have been known for their high quality since the inception of the line. With the LaLuz 2013, Xenon aim to offer a “an even more dynamic and aggressive feeling without compromising the inherent features of LaLuz which are comfort, ease of usage and invariable pleasure coming from every session”. S2AS are pleased to agree – they’ve hit their target with this new board. The Xenon LaLuz provides a high-performance experience. The compact, lightweight board is easy to manoeuvre without giving up the power required for more aggressive boarding. 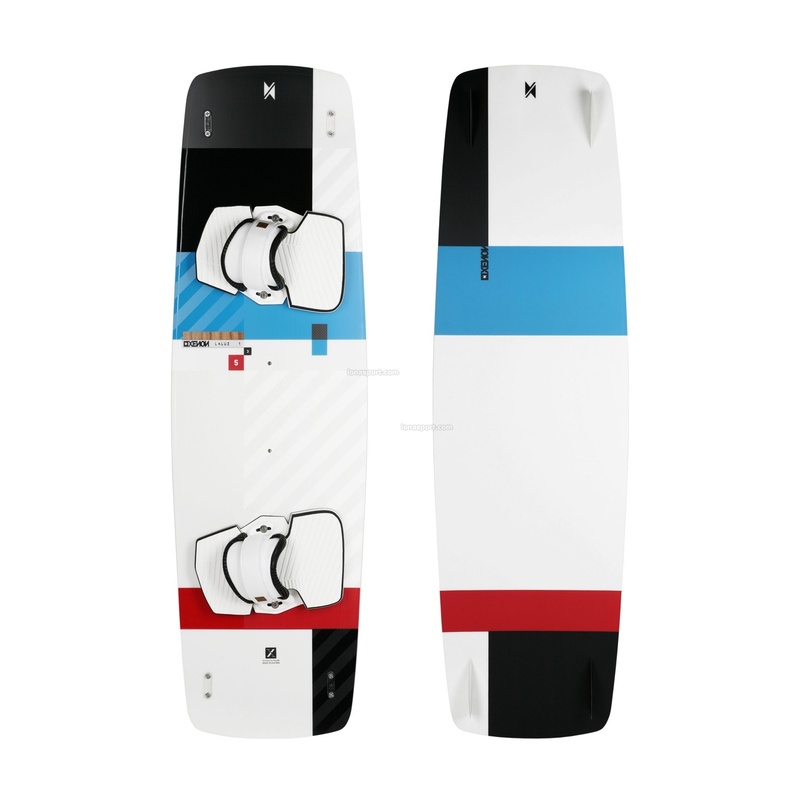 For the 2013 model of the LaLuz kiteboard, Xenon has made changes to two key areas. The area where the rider’s heel sit has been upgraded to a complete carbon fitting, giving the rider greater dynamic control. The durability of the board has also been improved with changes to the top material. In addition, the foot straps are a new, 25% lighter design with improved non-skid bases giving a firmer grip and better control. The pads have been improved as well, with a 40% weight reduction and multiple layers of foams, designed to ensure both comfort and control. Aimed at intermediate to pro riders, the LaLuz comes in four sizes. The smallest size has been increased slightly for the 2013 model. The board can also be provided with straps in two sizes, S/M for feet sized below a UK 7 (EUR 40) and L/XL for riders with larger feet or who prefer wearing boots. The Xenon LaLuz kiteboard has a wooden core with an asymmetrical hybrid laminate. The finish for the heel area has been designed for comfort and control, with a carbon laminate covered by a silicon coating with a specially crafted high-grip pattern. For the product description and to buy see here.